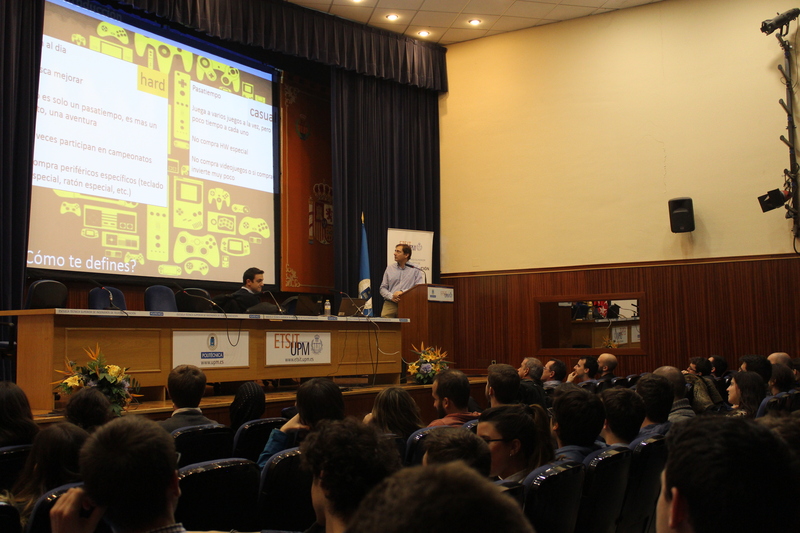 On the 1st of March, the conference “CLOUD GAMING: BUSINESS, TECHNICAL ANALYSIS AND CHALLENGES FOR THE FUTURE” took place in the auditorium of the ETSIT of the Polytechnic University of Madrid by Dr. D. José Javier García Aranda, Innovation Projects Leader, Nokia. The paradigm of cloud gaming is based on running a game on a remote server and using video streaming to play it from any device. Many unsuccessful attempts to offer this service have had to deal with both technical and business problems. Thanks to advances in different fields, it is a technique that is closer to reality every day and whose applications range from videogames to remote driving. In this conference we analysed all the technical aspects of this paradigm, its viability as a business and the future challenges it poses. Author SyncRTCPosted on 3 April, 2018 Categories Sin categoríaLeave a comment on MUIT: Conference "CLOUD GAMING: business, technical analysis and challenges for the future". Author SyncRTCPosted on 12 December, 2016 7 June, 2017 Categories ConferencesLeave a comment on Next Conference 'Cloud Gaming: Una introducción'.